From this guy's twitter. You won't hear of this on the news, for sure. Read the comments for more perspective. This scum has done this kind of thing all his life. 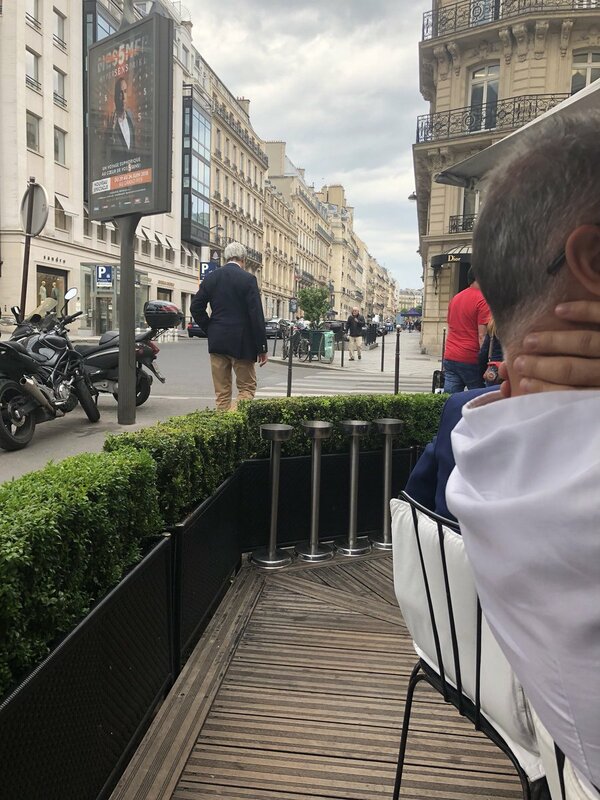 So John Kerry just left a meeting @ L’Avenue in Paris w/3 Iranians. A friend was sitting next to their table and heard JK blasting @realDonaldTrump. The Iranians had a 5 person security detail and left in diplomatic vehicles. Is he FARA registered? He's one of your "betters". If you don't believe me, just ask him. He'd just say he was visiting with some of his daughter's in-laws. No, he's not, and he's been doing this since, oh, he started service with the Navy. Traitorous piece of carp. Needs to be hung, until dead, and left for 3 days, someplace public, like, oh, the steps of the Capital, or maybe the Capital Rotundra, or at the State Department, to remind the rest of the traitorous pieces of carp just what rewards they all deserve. Andrew, could not agree more. I just wonder if your not holding back a little. Sorry I have red curtain of rage going on between McCain and this asshat. Oh. No. Not holding back at all. Well, maybe. The hanging should be a short drop, so as to watch the piece of crap slowy strangle. Nationally televised event on all channels. Keep up the coverage until the body relaxes and craps itself, if Kerry doesn't crap himself before the drop. And then take care of the people who are supporting his actions, the same way. Maybe Crucifixion. Line the roads from the Capital to the State Department with crucified traitors. Tired of being nice. Want this country safe from traitors and illegals. And, yeah, as to McCain? Well, cut his head off, stuff his mouth with salt, put a stake through his heart, remove the internal organs and replace with wood-ash, expose the whole body to direct sunlight and chop the body into four parts. His head should be on a pike outside the Capital, the four parts should tour the country as an example. What, he's not dead yet? He will be once you do this to him. have an interesting read called "the Prince". years ago, assassins were held in high regard as agents of political change in society. Italians and Sicilians were most notable in that field. Not saying it is a bad thing or a good thing but it was effective at initiating immediate changes in who's in charge and how people spoke of one another. I highly recommend Machiavelli's biography as a good source of light entertainment while stressed by these modern times. AHH! the good old days.